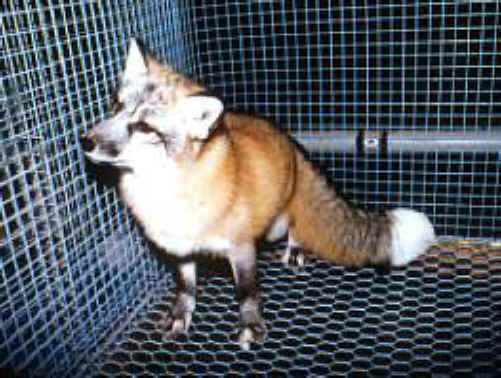 (Fox Exploitation - Fox Fur - 01) This fox has been bred on a fur farm, where the foxes are forced to live in fear their entire lives in these wire cages. 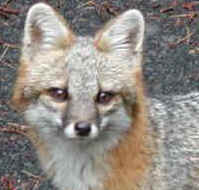 Note the forlorn look on the face of this fox as compared to the expressions on the faces of the wild foxes to the left. Many of these caged foxes actually go crazy. All of this torment is to satisfy human greed.